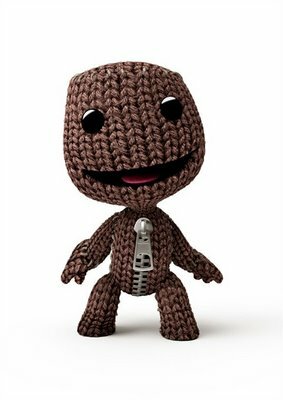 Off Topic: Sackboy Merchandise – Finally! Here at GnG we thought it would be nice to bring you an off topic post every week. To kick it off, we thought we’d ease you in gently with a slightly geeky theme. they’re knitted, they’re cute and sometimes just plain ridiculous… It’s the Little Big Planet Sackboy! Now I don’t know about you, but I just simply ADORE these cute characters! So when I heard some merchandise was finally going to be released, I was over the moon! About time if you ask me… Here are a couple of my favourites! The very awesome Rock Sackgirl Keyring.